Welcome Home! This charming home sits on a corner lot with nice shade trees all around. The home has been renovated to include ceramic tile throughout, lovely wood cabinets and granite in the kitchen, stainless steel appliances, updated bathrooms and lighting. The great room layout provides space galore and the heavy duty sliders out to the lanai bring in lots of light. The extended lanai is tiles and caged and there is also a covered lanai off the garage. This home is clean and move in ready and turnkey furnished (with exception of a few items). 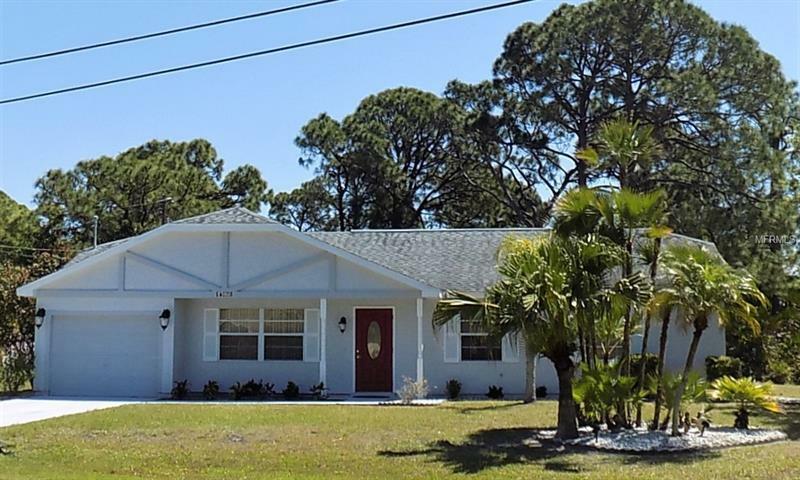 Gulf Cove is a desirable community that features a low fee optional HOA, community park and boat ramp right on the Myakka River. Centrally located between Port Charlotte and Englewood, you can be shopping at the mall or at the beach in 15 minutes. Make an appointment to see this cozy home today.